A presentation by Ruud Kleinpaste: Bugs in the System - Connecting Kids with Nature in the Age of Technology. 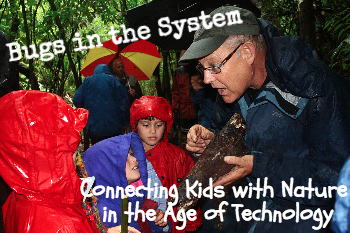 Bugs in the System - Connecting Kids with Nature in the Age of Technology. We are delighted to extend an invitation for you to attend this exclusive event and encourage you to book early as seats are limited. To reserve your seat please register with BWST’s administration coordinator, Raeonie Ellery: raeonie.ellery@brooksanctuary.org or 546 2422. All proceeds from the event go to support the work of the Trust in developing the sanctuary. Thank you in advance for your support.